The energized debates and intensive discussions among the public seem to have lost their spark after the preliminary elections. What led to this development? Should this be a cause of concern for the nascent Tibetan democracy which is at a nascent stage? 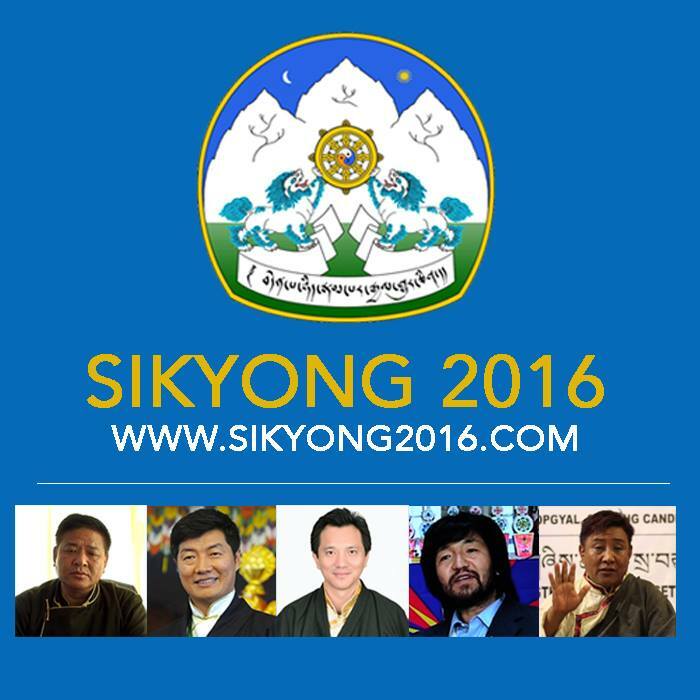 The fourth direct preliminary elections of sikyong (Prime minister) and chithue (Members) of the Tibetan Parliament in Exile were held on 18th October 2015, and the final stage of the same is slated for March 20, 2016. Tibetan Democracy, though conceived in Tibet, was essentially born while in exile in India. The 13th Dalai Lama tried to initiate a number of democratic reforms in Tibet but was severely suppressed by conservative sections of the society at the time. In 1950, the incumbent Dalai Lama after assuming the spiritual and temporal leadership of Tibet also introduced a number of progressive changes to the centuries old Tibetan theocracy, and inculcated ideas of direct democracy through his Reform Committee. However, the Committee and its introduction of democracy was soon thwarted by the 1959 invasion of Communist China, its subsequent occupation of Tibet, and the Dalai Lama's resultant exile. Therefore, while there was an indigenous move towards democracy in Tibet, direct involvement of the general Tibetan public in democracy was experienced for the first time by Tibetans in exile. This Tibetan implementation of democracy "from the top down" contrasts to the traditional and conventional transition and struggle of Democracy by people across countries in the world. This uniquely different Tibetan democracy was born in exile in India with the formalisation of the Draft Constitution for the Future Tibet on March 10, 1963, and the subsequent adoption of the Charter of the Tibetans in Exile on 14 June, 1991. Although the new born Tibetan democratic movement is different from many other democratic movements, the Tibetan version does share a common characteristic with other fledgling democratic movements in that it has its own dynamics and processes. The Election Commission of the Tibetans in exile although made an impressive move by setting rules for the candidates and their campaign procedures, and by setting limits on campaign expenditure in accordance with the charter of the Tibetans. The Election Commission, headed by a chief and two additional commissioners, was applauded by many for its efforts in managing the stateless Tibetan Diaspora's spread across the world in the preliminary election. However, the Commission incurred criticisms from others for its incompetence in specific areas, its authoritarian nature and its questionable enforcement of election rules. Some critics claimed that the Election Commission even deliberately manipulated the rules of the election to give advantage to two incumbent candidates. The Central Election Commission was severely criticised when it failed to respond after institutions affiliated with the Central Tibetan Administration actually banned a sikyong candidate from speaking and campaigning for the post. The Central Election Commission garnered even more criticism when it issued a circular notifying a new 20 per cent regulation regarding the number of candidates shortlisted for the Sikyong and Chithue elections, and this just a day after the preliminary elections on October 19, 2015. As many critics noted, common sense dictates that the number of candidates to be shortlisted for the final should be decided in a more reasonable time frame. There were five candidates vying for the post, out of which only two could make it to the final. Critics claim that this action on the part of the Commission was a deliberate attempt on the part of the Election Commission officials-- who are at the beck and call of their superiors in the administration-- to keep a certain candidate out of the race because of his strong position of total Tibetan independence from the Chinese government. In the previous election in 2011, as many as five candidates were allowed to campaign for the finals and all of them happened to support the Tibetan Government in Exile's position of middle way. These questionable actions, coupled with incompetence of the Election Commission, were of particular concern to the larger Tibetan Diaspora and also to a group of “long-time Tibet Supporters" who published an open letter to the CTA, expressing their misgivings and their disappointment. USA Congressman Rohrabacher and Director of USAID voiced similar concerns through a letter addressed to CTA's election commission. Many Tibetans scattered across the world engaged themselves enthusiastically in rigorous debates and discussions about potential sikyong candidates. These intensive debates and discussions, from almost every household to social gatherings to both online and offline platforms, imply growth and progress of the nascent Tibetan democracy. The scale of participation, in both numbers and intensity, in the preliminary elections indicates an impressive growth spurt when compared to the previous election in 2011. The competition of candidates vying for a seat and the youthful nature of many candidates standing for parliamentary seats is impressive. The incumbent political leader Dr. Lobsang Sangay and Mr. Penpa Tsering, the speaker of the Tibetan Administration, both middle way advocates, are the only two finalists for the upcoming election in March. Their positions and agendas are somewhat divergent, but the discussion and debate --as well as the election itself--would have been more energized, interesting and democratic had the Election Commission not issued their last minute twist to the rules and allowed the third candidate, Mr. Lukar Jam Atsock, a former political prisoner and an advocate of Rangzen (Independence) from the Chinese rule to campaign in the finals. Although he garnered considerable support for his "radical" views, his intellectual depth, and his political acumen he was opposed by many for his stand and his alleged “critique” of the Dalai Lama's position of political compromise with China to solve the issue of Tibet. It is clear from the preliminary poll results that the incumbent Mr. Sangay is likely to retain his post for the next five years, but his "opponent,” the speaker of the Central Tibetan Administration, is not far behind and crawling steadily. However, it would have been a dramatic developmental marker for the nascent Tibetan democracy had there been the third contender, Lukar Jam Atsock, who emerged as a strong catalyst to rigorous discussions and debates prior to the preliminary elections. Apa Lhamo is an M.Phil Research Candidate at the Centre for European Studies, School for International Studies, Jawaharlal Nehru University. The author is also associated with the Institute of Peace and Conflict Studies.